Visit Deschutes Brewery in Bend for a beerventure! They offer four tours a day, seven days a week between 1:00 and 4:00 on the hour. To book a tour, start by selecting clicking the "book your tour" button. They are kind of popular and their tours tend to fill up in advance, so you may want to book ahead. Private Tour Request: If you would like a private tour for your group, email [email protected] and they'll get back to you as soon as they can! 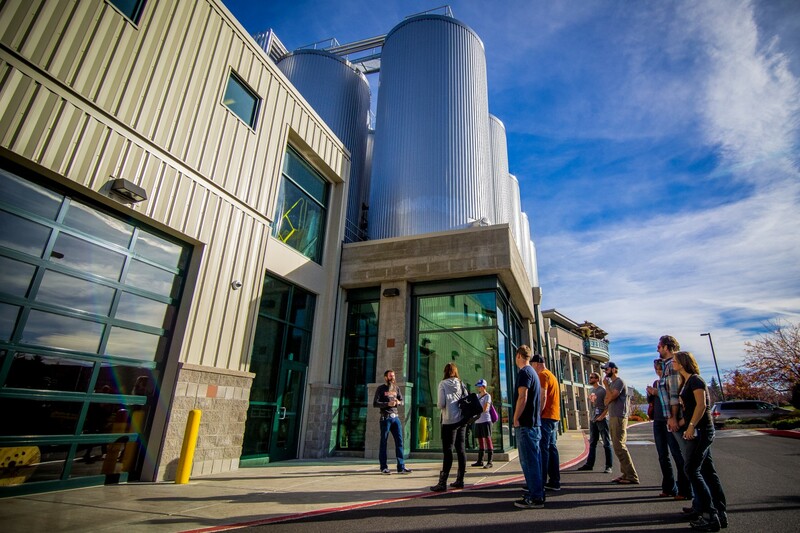 The Deschutes Brewery Tour – Deschutes Brewery is a craft brewery in located in Bend. Founded 31 years ago in 1988 as a brew pub, Based out of their production facility tasting room offers complementary beer samples as well as public and private guided brewery tours departing daily. Tours provide you with an up-close glimpse of our production facility while learning about our history, culture and the details that set them apart. Experience the best breweries and taste great beers, wines, spirits and ciders along the famous Bend Ale Trail. Enjoy the best breweries, craft beer and wine tasting tours in Bend Oregon! With over 26 breweries in Bend proper and 36 breweries within a 30 mile radius, Bend has become Beer-Disney and the number of incredible wine and spirit makers to enjoy grows by the day. We accept cancellations up to 24 hours before your tour for a full refund. If you try to cancel less than 24 hours before, we are not able to offer a refund. Please Note: The drop-down selector shows the number of spaces remaining for this tour time. Online reservations close at 11am. If you'd like to book a same-day tour after that time, please don't hesitate to give us a call or stop by to check availability. Private Tour Request: If you would like a private tour for your group, email [email protected] and we'll get back to you as soon as we can!Taps open at 12pm seven days a week. Elevators are available for ADA access. You will receive an amazing 12 oz can of tasty Deschutes beer for the tour route (if you're 21 or over). So remember to bring a valid US ID or passport for our international visitors to prove you are over 21. Recommended for ages 12+ because our small friends tend to get a little bored.